What's up w/ Roberto Mandje: Past, Present & Deutschland! Guten Tag! It has certainly been a while since my last update (SORRY!!!). Hopefully you've just watched the above video. If so, most of the questions you might have were hopefully answered. In case they weren't or it wasn't quite clear what I was attempting to say, I've summarized it a bit in bullet points below. My lovely and talented wife: Molly Mandje and I are moving to Germany. We're excitedly expecting the BIRTH of our FIRST CHILD in early 2015!!!!! I've postponed my Marathon debut (along w/ the "RAM-Series") until (most likely) Spring 2015 to focus on our aforementioned move + recover from a nasty fall sustained a few weeks ago at the XTERRA National Championships (minor cuts and a bone bruise). I'll now focus on shorter (10K - Half Marathon) races this fall, (hopefully) culminating with the XTERRA Trail Run World Championships in early December. Additionally, I was also privileged to land the cover of Competitor Magazine's October issue (see below). To locate a distributor near you, click: HERE. There are loads of great articles in the current issue, including the one featuring me, which is about Cross Training <== link = just the pictures. For the article, pick up a copy and for my international friends/family, here's a link to the digital October issue. Lastly I'd like to thank my friends and family. You're too many to name individually and you know who you are. Your ongoing support and love means heaps more than you'll ever know. Also I'd like to thank my sponsors for always being in my corner and having my best interest in mind. Without you, I'd be running naked (maybe not soooooo bad...?) and/or hungry (definitely BAD)! As always, thanks for reading and I look forward to my remaining (and rapidly shrinking) time left here in Our Beautiful Bubble we call Boulder, ColoRADo! Foreshadowing... the future of "Bebe Mandje"? An athlete in the making? Found this baby PUMA SHOE while running on the trails! #ForeverFaster - Bebe Mandje - Foreshadowing? It has been over 2 months since my last proper update and I apologize for that! Mea culpa... with that said, I figured I'll quickly bring you up to speed before getting to the main point of this posting. Since my last update, I suffered a bit of bad luck. 1) April 27th - My über supportive wife: Molly Mandje and I headed to Great Falls, Montana for a road race, where I got sick beforehand but decided to race anyways. Let's just say it didn't go well! 2) May 1st - I took a savage fall while trail running. I "only" missed 4 days of running but ran with pain and a limp for a couple of weeks after that. I did "fun run" a 15K in upstate New York on the 24th while attending my college teammate's (Andy Allstadt) wedding, as it was part of the weekend's festivities. 3) May 26th - Back in Boulder and trail running, I landed on a rock and jammed my left ankle pretty severely. Fortunately with the help of Toby Marchand, I've been able to more or less train every day in June. I'm still not at 100%. but getting closer. I've finally been able to string a couple of uninterrupted weeks of running. My ankle is improving and I've been able to get in some decent mileage with the (last week = 130+ miles). Also in May, I partnered with another great Colorado based company: Optic Nerve Eyewear. They're an independently owned company that make great and affordable athletic and lifestyle sunglasses and I'm very happy to be representing them. Now that we're all up to speed, I figured I'd finally published a long overdue video. We (Molly and I) filmed it on Sunday (June 22nd). For a while I had been asked about what (if any) strength/weight training I did. I figured this would be a great way to answer some of those questions. We filmed a sampling of my LEG ROUTINE as I figured that'd be more relevant to runners. Typically (depending on time of year and where I'm in my racing season) I'm at the gym 4 times per week. Monday and Thursday are upper body + core with Tuesday and Friday being leg days + core as well. I take weekends off to only run and let the body recover. We filmed Sunday evening at my local gym (the award winning: Rallysport Health & Fitness) as not to intrude on my fellow gym goers. Typically I'll do two sets of each of the following exercises, but for time's sake we only filmed one set. Below the video is a more detailed account of each exercise filmed. 1) Split Leg Squats: The weight used in the video was 205lbs. Sometimes I'll do more, sometimes less. Again, it depends on where I'm in my season and how my body's feeling. I find this to be a great exercise for overall stability/strength and load bearing, all of which come in to play when running roads/tracks and trails/mountains. 2) Step Ups:The weight used in the video was 185lbs. Much like the previous exercise above, this routine also helps isolate a single leg. As much as I hate doing these workouts, I find they help eliminate any imbalance that may hide themselves when doing traditional two legged weight routine. This allows me to lift exactly the same amount on both legs and therefor strengthening both equally. 3) Overhead Squat: The weight used in the video was 135lbs. This is the newest routine that I've added to my "LEG DAY" and it has proven to be the most challenging. I hate & enjoy it because it challenges me as well as works both my core (stabilizing the weight overhead) and quads, hamstrings and glutes (which the other two exercises above also do) amongst others. I always get a bonus (and UN-welcomed) workout from having to bring the weight back down w/out crushing my skull and spine. 4) Forward + Backwards Lunges: The weight used in the video was 35lbs. This is a great exercise that allows me to get even better range of motion while working both my core (again, weight held/stabilized overheard) and quads, hamstrings and glutes. Unlike the previous three exercises, these lunges and the one below exaggerate the range of motion beyond what anyone would use in running. Still, it's good to get the full range of motion when working out rather than having a limited movement all the time. 5) Lunge Matrix: The weight used in the video was 35lbs overhead. Everything I can say about this great (it'll leave you deathly sore the first couple of times you do it!) exercise has already been said above. The main difference with this one, is that you're isolating your adductor muscles (inner thigh) which is an often ignore muscle area. 6) Single Leg Squat + Fly: The weight used in the video was 40lbs (20lbs in each hand). This is another exercise that I both love (for the benefits) and hate (for obvious reasons) doing. It's perhaps (more than any of the others mentioned above) the most challenging as it encompasses balance, core strength and really isolates your entire leg. As I mentioned above, this is another routine that I have found has really help eliminate any muscle imbalances while providing me with great leg strength. It has allowed me to get the most out of each foot strike, be it on the road or trail/mountain. Thanks for reading and watching. I apologize if my form isn't 100% clean (range of motion, etc). We shot it in one take (gym closes early on Sundays) and shortly after I had finished my Sunday long to cap off the aforementioned 130+ mile week. Again, GRACIAS for watching and hopefully you enjoyed it and got a bit of a glimpse into a small part of my gym routine. Ciao! Before I fully get into this entry, I'd REALLY like to thank ALL the readers and fans out there. Being in a relatively niche sport like athletics, one truly never has an idea of the type of following they have. Furthermore, living in Boulder can often time warp your perception, as Boulder is an endurance sporting capital, where the majority of its residence will recognize, stop you on the street and congratulate you on your latest race result. That being said, I had no idea of how many people were following my racing results and reading my blog until this past weekend in Lake Las Vegas, where as you already know, I traveled for the XTERRA West Championships. Upon arriving to the race venue this weekend, my wife: Molly and I, were immediately greeted by happy people eager to wish me luck and share how much they've enjoyed reading my entires or watching my workout videos. Molly and I were pleasantly surprised by the reception and quite honestly shocked that people wanted a picture with me. Without belaboring the point further, I'd like to thank YOU, the readers and fans out there. I look forward to meeting more of you at future races and thanks for your support both via cyber space and in person! So once again Molly and I decided to make a road trip of this race. We had done the same last year and eloped at the Grand Canyon afterwards. This year we decided to recreate that magical weekend and celebrate our 1 year anniversary, so we made the drive from Boulder, Colorado to Herderson, Nevada. Other than a ton of laughs, my horrible singing and Molly falling asleep the MINUTE we switched off driving (despite saying she'd stay awake and keep me company), nothing eventful happened. We arrived at the race venue around mid-day on Friday, checked into our home for the night and settled in. At 4PM we headed to registration and collected my bib number. There I was greeted by my friend & XTERRA President: Janet Clarke. I hadn't seen her nor super XTERRA announcer Kalei Waiwaiole since November back in Hawaii, so it was a nice to catch up with them. Afterwards, Molly and I headed to the car, dropped off our stuff and headed out for our respective runs. I wanted to checkout out a bit of the course and see how my legs felt after so many hours in the car. The verdict.... "mehhh". My legs felt a bit sleepy/sluggish as I ran about 10K of the course. Climbing each hill felt like I was dragging furniture as my overall pace was rather slow. I didn't panic though as I often times warm up pre-workouts (and/or races) so slow, you'd think I was on a death march! In fact, it always amazes me how I can warm up for a race at something like 7:30/mile pace or slower and feel labored, yet when the gun goes off I can run sub 5 minute miles and have it feel easier! I did a few strides after the run, posed for a few pictures and chatted with the staff. They were eager to get my opinion on the course. I told them that what I had seen seemed well marked but I'd give them my final verdict after the race. With that, Molly and I headed to our Vegas pad to prep for dinner and a low key night. Trust me, you don't know boredom till you've had to lay low the day/night before a race! Fortunately, our Vegas pad was barely 10 minutes from the start line, which meant we didn't have to worry about waking up super early. The race was going off at 8:30AM and I wanted to be there about 1 hour beforehand, so we woke up at 6:55AM and were easily at the race venue and parked by 7:30. Once again upon arriving, we were greeted by many fellow runners and well wishers. I spoke to a few of them in my native Spanish, including fellow racer: Jorge Mejia Torres. We'd met last year at this race and had kept in touch. I still had no idea on who I would be racing, but fortunately I felt confident in my race plan + fitness coming in. The biggest issue in my mind was on whether I had gambled correctly or not in my attempt at the Double Double. 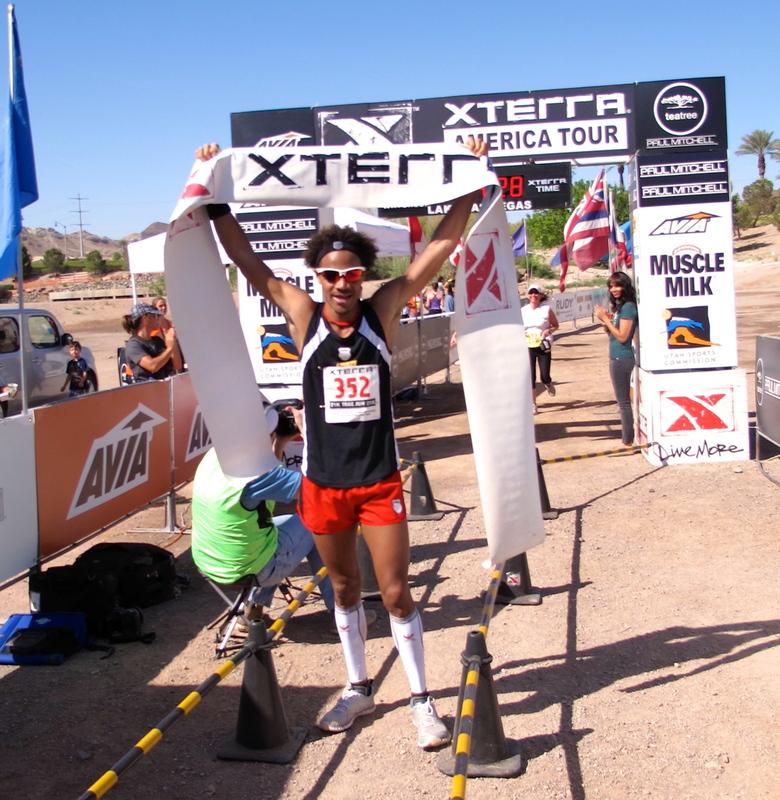 I wanted to win XTERRA Cheyenne, which I had just achieved 6 days prior. I also wanted to defend my tittle in Las Vegas, I just wasn't sure if I had trained through Cheyenne too much and gassed my legs. Earlier in the week, I had been feeling rather fatigue from the previous race + the workload leading towards these two early season races. After warming up, I came back and had a quick chat with Molly. I was eager to have the gun go off so I could finally answer a few question of myself. I wanted to see how I would fare on the loooooong climbs (over 10% inclines) and the heat (pushing 90+ degrees). A few strides later, a pre-race briefing and we were ordered to line up. I found a spot on the front of the start line and immediately noticed a rather tall lad to my right. He looked fit and quite capable. I thought to myself, "Right, you might have to keep an eye out for this guy!" The cannon went off -somehow catching me off guard- and we were expunged onto the race course. Immediately three of us separated ourselves from the pack. It was myself, eventual 2nd place finisher (the tall bloke): Forrest Boughner and eventual 3rd place finisher (ALSO named ) Forrest Jarvi. So there I was, barely half a mile into the race and flanked by TWO runners named Forrest! One casually galloping the ground up with his 6 foot 5 inch frame (all legs) and the other churning his much much shorter legs rapidly to push the pace. I was content to sit behind them and let them dictate the pace. The course consisted of 2 x 10K+ loops. I felt that the race couldn't be won in the first loop, but could certainly be lost on it -if one was reckless. Not only would the runners have to traverse long relentless climbs multiple times per loop, but we'd all have to deal with increasingly warmer and warmer temperatures. So I figured that hydration and pacing would be vital to successfully defending my tittle. The three of us made our way towards the first mile, which would prove to be the flattest for quite sometime. It seemed that Forrest B (the taller one) had a similar game plan. He wasn't forcing the pace and if he found himself in the lead, he'd check around and slow down a bit. This of course would spurt on Forrest Jarvi (the shorter one) into the lead, which he seemed more than happy to assume and press on. So basically the first mile or so seemed like a bit of a yo-yo or cat and mouse game. Shortly around 2 kilometers or so, I realized we had gapped Jarvi. I was a bit surprised as the pace hadn't changed much. It was also still a little too early to get excited as we were about to get into the thick of it - the climbs! Boughner and I ran stride for stride into the first significant climb. Up till this point, I had been listening to his and Jarvi's breathing and attempting to decipher as much as one can from the breathing patterns of his opponents. Once we got to the first climb, it seemed were were more or less in synch with our labored breathing. I thought that I heard him breathing SLIGHTLY harder than I was, but I wasn't 100% sure. Either way it gave me hope, that is until we crested the first climb. On the flat ground we stood a bit more upright and prepared ourselves for a quick and steep downhill before the next climb. It was on this downhill where Boughner put a bit of worry into my psyche! He aggressively charged the downhill section using every inch of his heigh advantage and gapped me so suddenly that I momentarily checked to see if I had stopped running altogether! We went from running side by side to him opening a 4-5 second gap. "Here We Gooooo! ", I thought. It was way too early in my mind, but it seemed that Boughner had thrown down the gauntlet and played his cards. Of course I worried that if we were evenly matched on the uphills and he could gallop downhill like a freight train, that I would have to step outside my comfort zone ASAP and make a choice. I tried not to panic and gradually worked on reeling him back in. I pulled even with him at the bottom of the second big climb. Our breaths seemed equally labored and I thought, "I hope that was a bluff". We ascended the next hill side by side. I felt surprisingly good on that portion and even contemplated taking the lead, but decided against it. Instead, I braced myself for another potential kamikaze downhill effort from Daddy Long Legs. To my surprise, he didn't charge down as aggressively as he had before and I actually kept pace with him. Once again we had a short flat section (maybe 75-100 meters) before yet ANOTHER climb. This one would be steeper than the others and with a cruel false flat before continuing even higher. Basically, you couldn't see the top from the bottom. It was also primarily single track (if you wanted the best footing). I decided to jump into the lead at that point and control how fast we went up this hill. Fearing that he might get antsy and push the hill, I decided that by leading up this climb at -what I felt was- a slow(er) pace, it would force him to run harder to get around me IF he wanted to push the pace. So upward I went at what seemed a comically slow pace. Despite that, our breathing was quite audible. It was right around the false flat that I sensed a bit of a crack in his armor. It was an ever so sliiiiiight gap, but it was a gap. I decided to keep the pace the same and not get overjoyed just yet. I didn't know anything about this guy and for all I knew, he was playing possum. After what seemed like an eternity, I summited the brutal hill. My legs felt alright but definitely not fresh. My breathing was labored but not alarmingly so. I ran down the hill a bit more aggressively than I had up to this point in the race, but I didn't want to go mental and blow myself up either. We had a quick almost 90 degree turn at the bottom of the hill before going up ....yup, ANOTHER hill. This one wasn't quite as steep, but at that point even a speed bump had its consequences on one's tiring quads! I snuck a peak back and to my elation, noticed that I had indeed gapped Boughner. It seem too early in the race (we were somewhere around the 3 mile mark) for a gap to be forming but nevertheless, I wasn't going to squander this early gift, nor was I going to get cocky and over do it either. I decided to stick to my pre-race plan, which was to run the first loop strong but under control and then attack the second loop to either extend my lead or if need be, go after the leaders. As it were, I continued to extend my lead for the remainder of that first loop and the race in general. I wouldn't find out my margin of victory (4 minutes 30 seconds) till at the very end, for I was running half way between SCARED and ZONED OUT. Scared because I feared an untimely cramp or bonk could do me in. I hydrated at every aid station but it didn't seem to be enough to combat the exposed terrain and its inferno type heat. Zoned out because my mind wandered here and there during the race. It carried me to the finish line and to Molly while other times it played a highlight reel of the hard training I'd done to get here, which caused me to trip and almost fall on several occasions. I crossed the finish line 1 hour 16 minutes and a few seconds after that cannon had caught me off guard. I was filled with euphoria and relief to be done with the race and having accomplished my two early season goals. It's easy to talk the talk but walking it is something else entirely, especially at these trail races, where you never know how you'll fare vs the conditions or competition. I prepared as well as I could but also know that the year is essentially just getting started for me. I've got bigger races to come and even bigger goals to accomplish. This is merely the beginning to what I trust will be my best year yet. The time for thinking and planning ahead would come, but for now I just wanted a drink of water, bask in the victory and hug my loving and supportive wife who waiting for me at the end of the finish line chute. The post race activities were pretty much status quo. I warmed down with and got to know 2nd placer Forrest Boughner. He was a really nice guy who's parents really hit it off with Molly. They invited us out to breakfast the following day in Flagstaff, AZ and we took them up on it. Forrest and I would go for a nice and hilly morning run the following day, where a new friendship was fostered. The awards ceremony came and went, giving me time to get to know and chat with many of the competitors. This is perhaps my favorite part of the XTERRA and Trail -in general- scene, where there isn't any ego or elitist behavior. Everyone is/was happy to complete the race and congratulatory towards their fellow competitors. I accepted my awards, thanks Kalei, Janet, Trey Garman and the rest of the XTERRA family/crew and left the venue. With the victory and course record in hand, step one of the weekend was complete. Now it was time to turn my attention to my wife and enjoy our looming 1 year anniversary on our way towards the Grand Canyon. With that we bid "Hasta la vista, VEGAS!" and left the race venue much like last year, happy, eager to continue our road trip and just as excited -if not MORE- for the future as we were in 2013 when we eloped! Then & Now.... 2013 = elopement vs 2014 = 1 year anniversary. Same spot, JUST as happy. Recap: 2014 Season Debut &....Now Off 2 Vegas! HERE ....WE......GO! This entry is a bit rushed (so pardon the grammar/spelling) as I'm in between packing and leaving for Las Vegas. As you know from my previous entry, I'm once again attempting the XTERRA double of last year. Essentially two challenging XTERRA trail races in less than a week. One being atop Cheyenne Mountain in Colorado Springs (thankfully already completed) and the other at a much more manageable elevation yet still at a moisture sucking dessert. So yes, XTERRA: Lake Las Vegas West Championships is up in a few days, but before we look too far ahead, we must recap what just occurred. Last Sunday my lovely and supportive wife: Molly Mandje and I rose early and made the 100+ mile journey down to Colorado Springs. Being the first race of the season, I had the typical pre-race butterflies fluttering around. I was both excited and anxious about my debut. I didn't doubt my fitness, but of course as I've mentioned before, training and racing are two COMPLETELY different art forms. Upon arrival at Cheyenne Mountain State Park, Molly and I were greeted by good friends Ben Anderson and his two boys. They'd be racing the 5K, which meant we could all enjoy the day and course together. Our other friend Christy made the 20 minute drive to come and support me as well as keep Molly company during the race. It was a fun and relaxed atmosphere which help put me a bit more at ease. After a small warm up, I changed into my PUMA FAAS 100 TR racing shoes and made my way towards the start line. I had warmed up over what I assumed would be the 1st mile of the course. Unfortunately, due to weather reason, the first 1-2 miles of the course had been slightly altered, which I didn't know till the gun went off. With a crack of the gun, we were sent off into (at least for me) quite literally the unknown. Seeing the race course funneling a lot sooner than I expected, I made a hard -perhaps TOO hard- push to the lead. After a few hundred meters, I found myself in the lead but closely followed by a group of guys. I do 99.99% of my training solo (although my Colorado HS mate Liam Meirow would put it at more like 96.86%) so it's always an alarming feeling to have people around you in a race. I maintained my composure and decided to focus on the surprisingly technical terrain in front of me. The first 1-2 miles were full of rocks/boulders, small streams, snow and sloppy mud. All of this while climbing at 5-6% grade and at an elevation just below 7K feet! Needless to say it was a quick and rude awakening return to racing. My lungs were handling it alright, but my legs and specifically quads were feeling down right miserable. I could immediately feel the weight sessions and hard workouts I had done that week. I kept telling myself to calm down and that this was expected. I knew that eventually the course would have to level out, as I was pretty sure the finish line wasn't located on the moon! The course also had a great deal of switchbacks in the early miles. This was both good and bad. Good, in the sense that someone could be 5 - 10 seconds behind you and you could be out of sight. Bad in the sense that... someone could be 5 - 10 seconds behind you and you wouldn't be aware. Naturally the more I tired the more I feared that I had gone out too fast and might be caught. I kept assuring myself that if I was tired, that others behind me surely would be too. The further we climbed (over 600ft inside of 2 miles or aprox 5.8% grade) the more labored my breathing got. With it went my ability to correctly hear the noise behind me, so I was somewhat running blind or rather deaf. I was certain that I had a comfortable lead and was about to allow myself a bit of a reprieve from the suffering when all of a sudden around one of the switchbacks I spotted a runner! A RUNNER...in a race -that I was TRYING to win- the nerve of him! The sight of him gave me a much needed shot of adrenaline (and fear) and jolted me into a different gear. Not wanting to be caught, I managed to lift legs, which now felt more like Lincoln Logs a bit quicker and higher as I crested what I hoped to be the last -for now- of the hills. Finally after 3+ miles, the course decided to flatten out a bit and I was able to start striding out and work on building a comfortable lead. This was also around the point where I recognized the course from last year and I was more or less able to predict what would be ahead. Thankfully, for the rest of the race I was able to keep a commanding lead and didn't come under threat. Nevertheless, I wanted to run quicker than I had last year and pushed on. 41 minutes and 44 seconds later, I crossed the finish line in first place! The time was heaps quicker than last year, but unfortunately I couldn't quite compare the two races as the first 2+ miles had been slightly different and thus making any comparison null and void. Either way, the point of the day had been accomplished. I had received a hard rust buster at elevation and practiced racing, tactics, dealing with the type of uncertainty you can't duplicate in practice and had come out unscathed. At the finish I was greeted by my wife and our friends. Ben's kids, 8 year old Ezekiel and 14 year old Abreham were quick to congratulate me and tell me about their own 5K. Abreham was a bit upset that he'd gone off course a bit while Ezekiel was shocked at how muddy and rocky the course was. The three of us headed out for a cool down and talked more about our experiences. It has truly been great having the Anderson's in our lives as they're not only a great family, but fantastic role models. After the awards ceremony, Molly and I said our goodbyes to our friends and hit the road back towards Boulder. While I was feeling a bit sleepy, tired and sore, I knew my day was far from over. This was but a small part of the bigger picture. Once home, I plumped down on the couch, slapped on my RecoFiT Compression Sleeves and worked on hydrating via some PowerBar Recovery drinks for a few hours. Later that afternoon I headed out for another workout, this would be a shorter one and on the much gentler and forgiving road surface. Given how my body felt, the workout went surprisingly well. After that I returned home, and hopped on the bike for a quick spin to Rally for a light weight session and swim. Finally, 16+ hours after I had started my day, I could finally relax. I was done with the day's race and training and could begin to look at the week ahead. Up next is Las Vegas, which brings us to now. I've had a good week thus far, but have been dealing with soreness and fatigue -which was to be expected. Monday was an easy easy day + a swim/bike. Tuesday was the last hard workout of the week and it went about as well as I would expect it to go given that I had raced just two days prior. Wednesday (yesterday) - Friday will just be easy running and recovery. I'm looking forward to the race this weekend and will admit I'm once again anxious/eager. My goals for this weekend are (1) WIN and (2) IF the course is exactly the same as last year, then run significantly faster than I did in 2013. So we'll see how that goes, I'm not afraid to put my training and goals out there. The gauntlet has been thrown down and now it's time for my legs to do the TALKING, so HERE... WE... GO! Alright STOP, collaborate and listen, MANDJE's back w/ a brand new edition! Yuuuuup, THAT just happened, a "Vanilla Ice" reference. Anyways, you're not here for an early's 1990s hip hop lessons. It has been about 4 months(!) since my last entry and I'm on the verge of kicking off another racing season. It's technically spring, but that doesn't mean too much in Colorado, where in a 24 hour span it's not uncommon to have temps dip from mid 60s to...SNOW (as has recently been the case). So, like Spring's sluggish awakening, I too must commence the long road/trail back to the start and finish lines that I've neglected over the past few months. Much like last year's entry: "Spring Into Racing", I'll recap the past few months, bring you up to speed and talk about what's coming up next. My last entry closed off w/ me on the beach in Hawaii. Once I returned to Boulder, I faced a bit of a dilemma. My physical body was still good to go and eager to carry on training and exploring new frontiers, while on the other hand, my mind was absolutely drained! Weeks and months of a singular drive and focus, workout after workout and finally having the day come and go had left me a bit burnt. I decided to take the remainder of the year (basically ALL of December) to just "run". Why do I put it in quotes? Well, by "run", I simply decided to go off the clock for the rest of the year and run as often, far (or short) and as slow (or fast) as I pleased. Basically I wanted to still enjoy running, I wasn't ready for a full stop and I wanted to avoid losing too much fitness. I gradually tapered off as the month progressed. One week I might run 5 times and the following week maybe only 4 days or so. These runs allowed my mind to wonder stress free and somewhat recharged the batteries. My runs ranged from 30 to 120 minutes, basically whatever I felt like doing. During this time I also re-entered the weight room and pool. I have always enjoyed swimming and decided to start incorporating swimming (+ biking/spinning) and a radically new weight routine into my 2014 campaign. I consulted with my good mate and knowledgeable Rally Sport trainer: Scott Novickis about my running goals for 2014 and how he could help me achieve them by trying a different approach in the weight room. Basically I wanted to be stronger than ever but without adding any physical mass. The goal was to remain around my 145-148lbs frame but be way more powerful. December came and went, I'd managed to keep most of my fitness and I was now ready to take an official break. I purposely picked the last few days of December and the first few days of January as my time off. Overall, I took 7 days off and felt more than ready, eager and recharged. Unfortunately January turned out to be a lackluster month, as I battled a bit of a virus and some niggles. I managed to make it though January and February, but that month wasn't that much better either. Things finally started clicking by the mid-end of February. I knew that if I could get a solid month of training in March, I'd be ready to race by April. Throughout all the mid-winter viruses and niggles, I managed to train virtually everyday while keeping up with the swimming/cycling and weight work. This also meant some ridiculously LONG days at Rally. There were many days that between two runs (on the treadmill due to weather), weight work and either a swim or bike, I'd spent 4-6 hours there! Alas, March came and with it, my most consistent month of training. Apart from the cross training/weight work, I started experimenting with different workout structures and also faced one of my nemesis, famed Magnolia Road from the book, "Running with the Buffaloes". I've always had a love/hate relationship with that long strip of hilly dirt road that relentlessly climbs to nearly 9,000 feet. In the past I've either smashed it or it has smashed and humbled me. So this winter, after being called out several times by long time friend and sometimes training mate: Spencer Casey, I decided to start making the 20 min trip up there. I'm happy to say that so far so good, I've had a several easy runs up there to test the waters as well as a couple really solid workouts. So now you're up to speed, it's SPRING and April's here! I'm a few days away from my 2014 debut and I've decided to follow the same formula from last year. This coming Sunday, I'll race the XTERRA Cheyenne Mountain 12K and six days later head back to Lake Las Vegas for the XTERRA West Championships. As I mentioned, I did both last year and I'm quite eager to do both again. Times generally don't matter in trail running, which I like, as it's more about the head to head competition. What does excite me about these first two races though, is the fact that -weather permitting- I'll get a fairly accurate gauge and comparison to the Roberto Mandje of 2013. So in essence, I'll be racing not just the clock, the competition and the course, but also the 2013 version of myself. 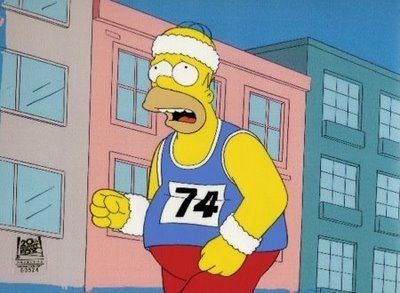 Also just like last year, I have decided to train somewhat through this weekend's race. In doing so, I have already completed two grueling days filled with running workouts + lifting and cross training from Monday - Thursday. My legs and body are a bit worn from it but also stronger for the efforts. I'm mentally prepared for the rebirth and shock to the system that I'll receive in Cheyenne this weekend. I'm hoping Cheyenne can kickstart what I trust to be an even better year of racing than 2013 was. I'm excited about Lake Las Vegas, but I must get through this weekend's test/race first. Lastly, but certainly not least, I'd like to thank my new footwear and apparel sponsor: PUMA for stepping in this past winter and giving me a chance to join their team. As always, I'm thankful to ALL of my sponsors and I look forward to representing them with continued success both on and off the field in 2014! Hawaii Five-O: "XTERRA Trail World Championships"
ALOHA and Happy Holidays! I hope everyone had a fantastic Thanksgiving. By now I trust most readers know the result of the recently concluded XTERRA Trail World Championships. In this entry I'll give my race recap as well as sharing the typical behind the scene tidbits. Alright then, ready? 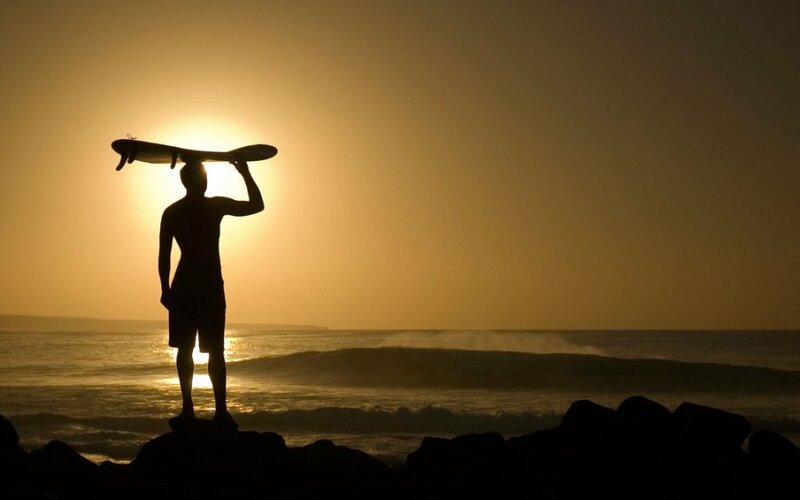 Great, grab your surfboard, board shorts and let's paddle out into this tale. This year I decided to make the trip to the "Aloha State", a much shorter one than last year. I traveled alone, leaving my super supportive wife, Molly Mandje, back in Colorado. With a pending honeymoon to plan, she's got to be frugal with her vacation time. Unlike last year, I stayed far away from the touristy hustle and bustle that is Waikiki. Instead, my good friend and eventual XTERRA Trail World Champ Women's winner, Polina Babkina, set me up with a place to stay in Haleiwa. There I had the pleasure of staying with a friend of hers, Shannon White and her family. They've got a beautiful home about a quarter mile from the world famous Sunset Beach. Sunset @ Sunset Beach, 1/4 mile from my host family's home. Arriving to my host family's home, I was immediately greeted by Scott and his awesome wife Kathi. They quickly made me feel at home and within 10 minutes of arriving I was already down at the beach with Kathi walking her two dogs. We quickly got to know each other. Within an hour of my arrival, you would've thought Kathi and I had known each other for years. Scott and Kathi have three amazing kids. There's Shannon, a mermaid-like surfer and runner (who's equally graceful riding a wave as she is navigating a technical trail) and her two brothers. Brent, the oldest, is an avid surfer and a talented graphic designer. Murray, the youngest, is a hulking high school senior and state record holder in the bench press. The run served as a good chance for me to shake the travel out of my legs. I felt good and super light - gotta love sea level - on the various hill climbs. I also welcomed the heat and humidity (90%), despite feeling like I was "swimming" through most of my run, as I would tell Shannon time after time. The day before the race I drove about an hour into Waikiki. Once I arrived at the XTERRA Expo, I quickly made my way to registration. There I was greeted by the familiar and always smiling faces of XTERRA President Janet Clark and Series Manager Emily McIlvaine. I always seek these two ladies out when I get to an XTERRA event. They and the entire XTERRA staff have been immensely helpful and welcoming to me over the past year. Once I collected my race packet, I had the pleasure of catching up with the super XTERRA couple James and Nozomi Wade. I first met them back in May at the XTERRA Southeast Champs in Alabama. It's always a pleasure to chat with them at the races and expos as their enthusiasm and love of the sport is nothing short of contagious. After that, I headed to greet good mate and defending Co-Champion: Joe Gray. Over the past year we've kept in close contact, speaking several times a week, thus forming a great friendship. We greeted each other, posed for a few pictures, spoke about the pending race, wished each other luck and that was it. I jumped back in the car and headed back to the North Shore. Sunday, November 24th. The day had finally arrived. A year of different XTERRA events across the country, thousands of miles in training, an endless summer of weddings and a historic Colorado Flood had delivered me here. Shannon and I made the 30 minute drive to the race's breathtaking venue: Kualoa Ranch. It has served as the location for shows and movies like "Lost" and "Jurassic Park" amongst many others and today it would serve as XTerra battle ground. The story lines were drawn long before we set foot on Oahu. The top contenders included defending "Co-Champion" Joe Gray, who'd be looking for a decisive win and NOT a tie. XTERRA Favorite Max King, who had never lost an XTERRA World Championship he entered. He'd be looking to retake the crown after missing last year's race due to the birth of his daughter. Then you had the (on paper) red hot favorite and rookie Patrick Smyth. Despite his rookie tag, Patrick came in as the reigning XTERRA National Champ held two months prior, where he had defeated both Gray and King. That left myself and several others to see if we could spoil the party. I felt confident in my training and secure that I had prepared as best as realistically possible in the weeks leading up to the competition. I wasn't nervous, instead I was simply curious and eager to find out how my body would respond. After a short warm up and some strides, I headed to the start line. There, I was greeted by Gray. We exchanged a few pleasantries before crouching down to wait for the cannon blast. Delving into our own pre-race world, we fixed our eyes forward waiting to unleash hell. BOOM! The cannon echoed through the valley and with that, we were off to test ourselves! I say "ourselves" because even though we're ultimately measured and judged by our finishing position relative to our fellow competitors, the true battle -in my opinion - particularly in trail races is between you and the course. I kept that in mind for weeks and months during my training. Knowing full well that I couldn't focus on any one person, racing can be far too unpredictable for that. On any given day anything is possible. Instead, I poured my energy both in training and during the race into my own efforts. I was up against a great field, but I was also up against myself both in the "here and now" and the 2012 version of me. It's YOU vs YOU, "Be Your Own Hero"
I had worked hard on the mental aspect of racing this year. Staying positive during bad patches, calling upon the training I had done to get to this point and remembering that no matter how tough a particular hill or mountain is, there's always an end to it, if you just keep going. It was a good thing I had honed my mental skill, because it didn't take long for the aforementioned top 3 lads to separate themselves from the rest of us. Although I had anticipated a quick start, it seemed these guys were out to race a 5K. Within the span of half a mile they were completely gone! It was a tough pill to swallow and frankly a bit too early for my liking. I decided not to chase them as I had intended on finishing the race and figured if I let hubris lead me up to them, well I'd most likely be looking for an ambulance ride back to the finish. Looking around I felt there were far too many people ahead of me and around me. That's one problem with training (and alone at that), you go from being completely solo or with very few people to suddenly there's a herd of guys, each as eager and driven as you are. I quickly told myself to be patient, that the course and pace would sort them out. It takes a great deal of confidence coupled with a bit of a gambler's streak to let people go early on. Looking around, I reached the first mile somewhere between 7th and 9th place. It definitely wasn't where I wanted to be, but there was only a certain level of recklessness that I was willing to indulge in. I knew that there was a beast of a climb around mile 9 that would last for about 2 kilometers. Between miles 3 and 7, the racing Gods decided to gift me with a savage cramp in my lower right back. It came on like a sniper's bullet and I immediately felt its effect. Suddenly my momentum was halted. At that point I was in 7th place, but still had 8th and 9th right on my heels. I did my best not to look back, but I could tell they were quickly gaining ground. In a matter of minutes my thoughts went from "Oh yeah, here we go... I'm gonna roll up to those guys in front", to "OMFG, am I going to be able to finish!?". Leandro Santillan, who I had done a bit of battle with last year -and ultimately beat- was first to strike and I knew he'd be looking for revenge. View of the finish from way up in the mountain. All I wanted to do more than anything, was insert my right thumb in my lower back and massage some much needed relief into it. Instead I gritted my teeth and attempted to deliver oxygen to the area. I didn't want to let Santillan or the other bloke behind him know that I was physically hurting in anyway. I figured the fact that my pace had drastically slowed served as enough of a sign. Like sharks to blood, they crept closer and closer. With my confidence waning and frustration rising, I decided that I'd trained too hard to simply drop out. Santillan eventually went around me near the 6 mile mark. Within 30 seconds he'd put a 20 - 30 meter gap on with the course's hillier sections still ahead. Race Mantra: "Trust In Your Training"
I knew from last year that I had more speed than him on the flatter sections and thus told myself to keep him within striking distance. I was now sitting in 7th place but even that wasn't 100% secured as 8th place was also gaining ground on me. "TRUST IN YOUR TRAINING, TRUST IN YOUR TRAINING...", I repeated over and over to myself. I needed to use as much mental strength during this painful stretch as I could muster. I wasn't physically drained (yet) and thus this portion became a battle of the mind over the body. FINALLY, some relief! We finally got to a point where I felt that Santillan wasn't getting away from me and instead the gap was now shrinking. On top of that, the pain had finally subsided to a manageable state, allowing me to start making progress. At this point we were over half way done with the race and I knew the BIG climb still awaited us. Those that had respected it would hopefully reap some reward, while those who hadn't would hopefully be humbled. Around mile 8 or so, I overtook Santilla and made a hard push to create some distance. I wanted to put him away and give him absolutely zero hope of catching me again. It was a bit of a gamble because (1) I wasn't sure I was 100% out of the woods as far as my lower back went and (2) we were starting to climb, so it wasn't a given that - despite my preparation - I'd be able to sustain such a hard push. "Oh well!" I said to myself, "You're all in now, so let's go!" I stopped worrying about what might be happening behind me and started dreaming of catching the runners ahead of me. I wasn't sure what was going on with the top three and wondered if one of them would blow up and come tumbling back through the field. Shortly before the 9th mile, I spotted a slowing Chris Gomez from Flagstaff, Arizona. He had gone out quite hard early on and was now clearly feeling the hills. I decided to go after and catch him before the big climb to come. Eventually I came to the base of the final climb around mile 9 and passed Gomez. I figured since Gomez came from an even higher elevation than I did, that he'd maybe have something left in the tank. Not wanting to leave it to chance, I pushed and willed myself up the 2 kilometer long climb. I quickly created a gap and felt better about it. I stole quick glances back around each switchback to chart my progress. There's no doubt that I was hurting and wondered if he could tell. At the same time I knew that I had to push hard now and not save anything for the flatter sections that would eventually deliver us to the long awaited finish line. I kept repeating, "You ran up Mount Sanitas, you ran up Mount Sanitas...". The climb lasted longer than I thought it should. It seemed like a cruel and unrelenting joke. Once again I used more mantras and self talk. I kept thinking, "If you're hurting, they're hurting, keep pushing, you don't know who else might be in front of you...". Alas, I reached the top of the climb. I had created a big gap that, as a result, meant I wouldn't have to worry about the guys behind anymore. I now focused on throwing my legs that had turned into giant pieces of lifeless wood down the mountain. The terrain became technical and narrow. I was careening down a virtual rainforest slip and slide. More than once I slipped and caught myself at the last minute. I knew I couldn't step off the gas as there were still guys somewhere ahead of me. I took a hard tumble at the bottom of one such switchback and bounced back up so fast, that I had to double check if I still had my bib number and wedding ring on. Adrenaline didn't allow me to dwell on the pain. Instead I drove and drove my oxygen deprived and high humidity stricken body toward the finish line. Finally I got within sight of the finish line. Half a mile out I knew there wouldn't be anyone else to catch. I was running out of real estate and there wasn't anyone else in sight. Still, I didn't allow myself to back off the pace. I finished just as hard as I would've had I been trying to out kick someone. I must have driven myself a bit too hard in the closing stages, because I don't remember crossing the finish line, only hearing XTERRA extraordinaire announcer Kalei Waiwaiole addressing the crowd and myself while inquiring whether I needed medical attention or not. I picked myself up as best as I could. I was greeted and aided at the finish line by Boulder based friend: Pam Simich. Brian Metzler, her husband and my long time friend was out there racing as well and the family had made a holiday out of the trip. . I soon found out that I had finished in 5th place while running around 2.5 mins faster than in 2012. I was pleased with the effort as I couldn't had done any better on the day. I tip my hat... I mean headband to the four lads ahead of me, particularly the top 3 who ran under the previous course record! Well-done fellas! Staggering to the medical tent, I bumped into race winner Patrick Smyth. We congratulated each other and talked about our experiences, falls and the general beauty of the venue. Being a competitor I couldn't help feel a little disappointed at not being more competitive with the top 3 guys. I couldn't help wondering "what if my back hadn't tightened up..." That's racing for ya, often times a cruel but beautiful and unpredictable mistress. I quickly reminded myself that I had done the very best I could have done on that particular day and under those conditions. I had improved both my time and place from the previous year and that - on that day - was good enough. The atmosphere around the awards ceremony was a bit more laid back and jovial than before the race (not surprising). There I got to catch up with several of the other competitors on both the men's and women's side. This is usually where the true camaraderie of the trail community shows itself. Both elite and age group athletes alike converge, congratulate and share their race experience with one another. It's here where over this past year, I've been privileged to make some long lasting friendships and connections. Eventually they called the men's podium (top 5) and we headed up one by one. We once again greeted, congratulated each other and posed for photos. We were called up again for a larger group shot with the women's top 5 finishers. Afterward, I made my way around to a few of the different members of the XTERRA family to thank them for once again hosting such a top class event and allowing me to be a part of it. As usual, the last person I sought to bid farewell to was Janet Clark. G'day & thanks for stopping by. This is my 1st entry since the XTERRA West Championships. I wish I could say the month between then & now has gone smoothly, but alas, that hasn't been the case. I've battled a few niggles to my soleus muscle (shin/calf area) as well as some fatigue from the training/racing/road trip. That being said, I've managed to hold on to some of the fitness I built up this past winter and very much look forward to this weekend's XTERRA Southeast Championships @ Oak Mountain in Pelham, Alabama. I'll be racing the 20K distance & anticipate a great challenge between the tough course & competition. Below is a video that was shot last Sunday at Betasso Preserve in Boulder, CO. The session was 3 x "Canyon Loop" which is about 3.20 miles per loop, with the plan being to get progressively faster per loop. I was pleased with the effort, especially since I've had a sporadic training week heading into the session. Special thanks to Brian Williams for riding the Mountain Bike while recording the workout. Also to my training mate, Triathlete & Ironman Champion: Paul Ambrose for agreeing to keep me company on the difficult course while still adjusting to both jet lag & elevation. After much driving, we made it to Las Vegas around Noon on Saturday and immediately headed to the XTERRA venue. That Saturday, they were holding the Triathlon portion of the weekend's racing events. On my way towards packet pick up I stopped by the PowerBar tent. There I spoke to Richard Burgunder, a PowerBar rep that I had met the previous week at XTERRA Cheyenne Mountain. He gave me some helpful information about the course, as I wasn't going to be able to see much of it prior to racing. Next, I went over to look at the course map for myself. Despite it being relatively straight forward, I struggled to envision where the monster hills would be on it. I had been told that there would be some long climbs throughout and more so in the last 2-3 miles. Afterwards I headed to the car to change and see how much of the course I could get on. Many of the triathletes were still competing, thus I made sure not to get in their way as I got in a cheeky view of the course. I ran 3 miles out and 3 miles back, added a few strides and called it a day. My impression from what little I saw told me it was going to be a hot & exposed race. There was virtually zero cover on the course. I figured hydration would be paramount for this race, perhaps more than any other one in my career. We finally headed to our hotel, where I took a quick dip in the pool to losen up my legs. The rest of the afternoon & evening consisted of me lounging in the hotel room and hydrating. If you've ever run a race you deem important, you know the day and hours beforehand can be some of the longest and most laborious moments ever. I wasn't feeling nervous, instead I was quite anxious and eager to get the show going. I had no clue who I would face the next day and still had limited knowledge about the course. 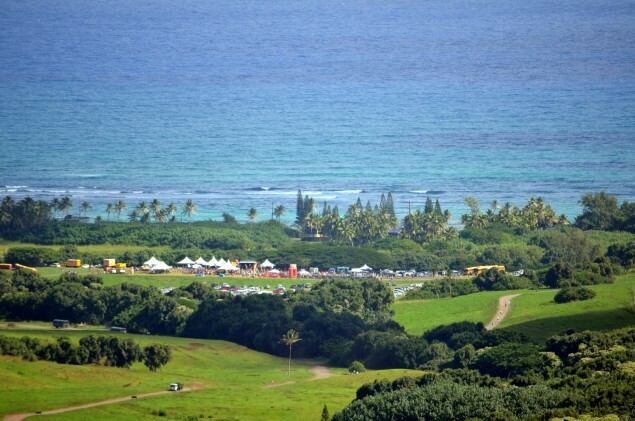 XTERRA races challenge you with their diverse terrains, locations and distances. 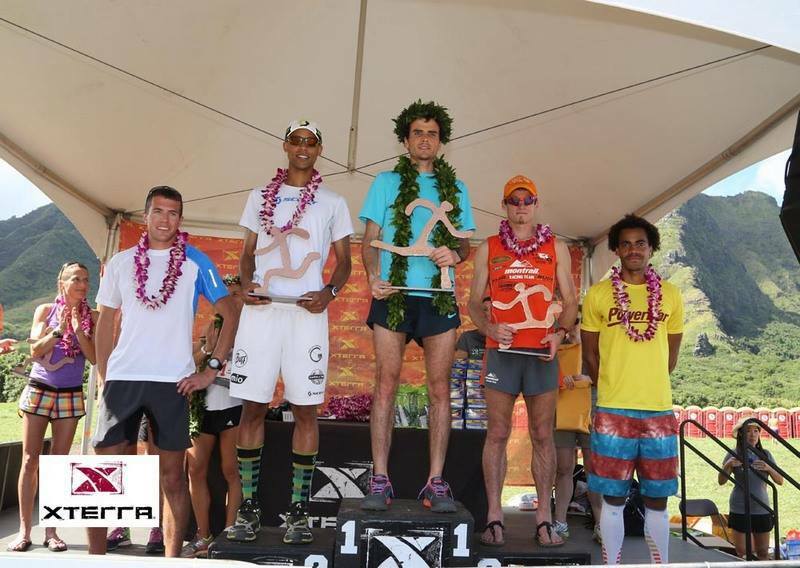 Factor in the reality that XTERRA is quickly becoming a destination for mountain/ultra runners as well as track/road speedsters like myself, and you can easily see why XTERRA is quickly becoming a favorite battle ground for many. I woke up, for the one millionth time in my life, without the need of an alarm. Apparently I channel my inner Kramer (Seinfeld reference) before important events, because my body just knows! Rising at 6:15AM, I quickly jumped in the shower, gathered my kit and headed out the door. Breakfast consisted of a PowerBar Cookies n Cream ProteinPlus bar. Leaving the hotel at 7:15 meant I'd arrive with about an hour before the 8:30 start time. Once we arrived, I gave my bag to Molly and headed out for a slow jog over the course. It wasn't even 8AM and the temperature had already soared above 65F. I was immediately thankful that I had hydrated well in advance. Jogging the first 2K of the course (which was all uphill) I started to visualize the race and formulate a series of race plans. I think it's always great to come into any race with a solid plan, while also being open and flexible to several different outcomes and scenarios. Not knowing who I'd face, I decided to focus on myself, the course and my specific strengths vs weaknesses. I certainly didn't want to risk blowing up in the heat or over the big hills. Also despite being in Las Vegas, I didn't want to "gamble" on having the infamous "second wind" come to my rescue as it did the previous week in at XTERRA Cheyenne Mountain. Once back, I did a few strides, stretches, grabbed more fluids and started changing into my racing kit. GO TIME was now a little over 15 minutes away. It's during this window (at least for me) that you start becoming an award winning psychologist as you start dissecting each and every possible competitor you see from head to toe. "Those are flashy shoes, I wonder if he's fast? ", "That's a pretty sweet race kit, I wonder if he's legit or just posing". "Oh he's pretty tall/short, I think that could hurt/aid him on the downhills/uphills", etc.. etc.. the list goes on and on. No sooner are you in one thought before another random one pops in. Nerves or not, it happens to many of us right before a race. Heading towards the start, I saw a runner I hadn't seen at all before. He was suave & speedy looking. I wasn't sure if he'd just stepped out of a Runners World cover shoot, or if he'd just spent the last 2 months in some remote location prepping just for this race. Regardless, I was excited by the prospect/challenge and decided to keep an eye on him. My fellow competitors and I were sent off with the loud bang of a cannon. Despite the prior warning, it still caught me off guard and I was a bit slow off the line. "No worries", I thought, as we had 21 kilometers to sort out the places. Well someone apparently didn't tell that to Mr. Suave, as he bolted off the line as if he'd been the one shot out of the cannon! My GPS said I was running the 1st half mile at a 5:20/mile clip, and he already had 30+ seconds on me. I knew with the first 2+ kilometers being uphill, that the pace wouldn't be sustainable. I wisely backed off and told myself to be patient. He'd either go ahead and set a World's Best for a trail/off-road 21K or eventually pay the price and commit seppuku for foolishly going out like a sprinter (let it be noted that I'm in no way making fun of Mr. Suave as a person. He was a great guy & we hung out and spoke at length after the race. He also agreed that his tactics had been a bit poor). I felt well within myself and decided to just hold my pace and not panic. This wasn't 100% easy, as I'm still new to XTERRA racing, where it seems most people start very fast in order to establish their position in the occasional narrow trails. Heading into the first mile, which consisted of a mix of rocky trail and loose sand, I realize I had the 1st place woman right behind me. While unnerving, I decided to bide my time. I had originally planned to make it a race of two halves. The first 10K or so I would run within myself and not risk blowing up. I would make sure not to spot the leader(s) too much ground, while hopefully marshelling my resources. The second 10K I would then either race to catch the leader(s) or push to establish my lead. Neither of these scenarios would come into play. To my surprise and I must admit amusement, I came around a corner as we climbed even more within the 1st mile and saw our early and fearless leader. He had slowed down drastically! I immediately thought that he was either being coy and waiting for the pack, or he'd come down with a savage case of rigor mortis. Sadly for our brave front runner, it was the latter. Of course I didn't know this at the time, so I hesitantly passed him while towing the other runners along. I hadn't envisioned leading so early and wanted to make sure that I wasn't going to be a sacrificial lamb. We were still climbing while facing a stiff head wind, so I made sure to REALLY run within myself. For races this long, it's my opinion that no race is won int he first couple of miles but instead, many races are can foolishly be lost during the early stages. For the next half mile to mile (yup, still uphill) I snuck as many -not so subtle- peeks behind me to see what was going on. I felt light, powerful and springy running up the hills, but didn't want to risk going too soon or letting the rush of leading the race cloud my judgement. Around the 2.25 - 2.50 mile mark I snuck one more peek behind me to see (A) had my lead grown & (B) what had happened to our early leader? It was around this point that I hit the first of many serious climbs. A climb that would reward me with a beautiful panoramic view of the resort, which I would've been able to enjoy had my heart not been trying to jump out of its home! That 2-3 minute climb, which unbeknownst to me, I would face in the latter stages of the race reminded me how quickly things can go from "cruisy" to "ouchy!". Fortunately for me, I was having a good day and I had learned the lessons taught by professor XTERRA Cheyenne Mountain the week before. I was better rested for this race, as well as more battle tested. My lead continued to grow with each passing aid station, where I would occasionally steal a look back. Never before had I hydrated so much during a race. I think I drank once or twice last year at the XTERRA World Championships and have routinely done 20 mile runs in Boulder sans water. Still I wanted to be smart and cover all my bases. The last thing I wanted, was to have the wheels fall off with 5K to go, give up my lead and hitchhike back to the start. Around the 12K and later 16K mark, the course wound and looped in such a way that both myself and 2nd place could clearly see each other. We were about as close as 50 meters or so, only we had a body of water and a few hundred meters of actual trail between us. These were the only times during the race where I had any idea as to the extent of my lead. With the victory seemingly secured, I allowed myself to BRIEFLY envision coming down the chute and breaking the tape. This thought was quickly interrupted when a race marshal instructed me to climb a hill so shockingly steep and long, that I was convinced it had been placed there in the last minute as a prop. I quickly fired back, "No, no, I'm on my way to finish the 21K", while pointing at my bib. I had hoped that he had mistaken me for the 5K or 10K participants. Surely the XTERRA Gods wouldn't reward nearly 21 Kilometers of running by placing a diabolically steep hill this late in the race, and so steep that it required crampons, right? Well our exchange quickly ended as I realized not only was he right, but this was THE hill that I had been told about. I had somehow either forgotten it or just assumed that I had already crested it earlier and simply not been bothered by it...wrong! As I started to climb I had one last thought, "I hope EVERYONE has to do this, not just me!". Why anyone else would get a free pass is beyond me, but such was the clouded judgement that accompanied 21 Kilometers of hilly and desert trails. Climbing the hill I focused on form and taking small but powerful steps. As if the hill's incline wasn't bad enough, there was a considerable amount of sand on it. This made the footing quite challenging and I focused on moving forward without smacking my face on the hill itself - yes, it was that steep! My GPS had that portion at approximately 25% grade. I eventually made it to the top, which was a welcome sight as I couldn't see the top of it from the bottom. I snuck my last look back to see how much ground I had donated to 2nd place. Fortunately I still had a healthy lead, although I couldn't figure out if it was 1 minute or several. The last 2 miles or so was all flat and downhill. This allowed me to regain any ground I had lost on the mammoth climb, and I started hitting a pace of 4:30 - 5:00/mile all the way to the finish. I could hear the announcer revving up the crowd for my arrival from as far out as a quarter mile. I decided to run hard and fast through the chute despite having an insurmountable lead. This would pay off, as I later found out that I had broken the previous course record by about 4 or 5 seconds, which was merely an extra bonus. I had come in to the race hoping for a win or at least top 3 (aka "Podium"). I wasn't aware of any course records. I feel I could've pushed harder if I had needed to, but was pleased to have a great experience and once again collect some much needed XTERRA Off-Road racing experience. This will all help later on this year if I do end up competing at the World Championships. After crossing the line, I happily posed for a few pictures, answered a few questions and was greeted by Molly, who seemed even happier than I was about the victory. I changed into my Point6 compression socks and some dry gear and headed off for a bit of a cool down. Afterwards I hung out at the PowerBar booth, did a few Q&A with the other finishers and got ready for the award ceremony. For now, I'm back in Boulder and eagerly awaiting for Spring to arrive. It seems winter hasn't gotten the memo that we're almost a month into Spring! Next up, I'll possibly do a local trail half marathon in early May. After that, I'll head to Alabama for the XTERRA Southeast Championships. There I'll race the 20K and very much look forward to another positive learning experience. Lastly I'd like to thank ALL of my sponsors for their support. Especially: RecoFiT, Plantiva and PowerBar's Richard Burgunder, who all outfitted me with the last minute essentials I needed before my competition. I'd also like to thank the XTERRA crew for putting on a great weekend of racing, both in Triathlon & Trail Running. G'day! Its been a few weeks since my last posting, so I figured now would be a good time to provide both an update and a look at what's ahead. The week after my last entry consisted of some manic weather, which is quite typical of early spring in Colorado. The week of March 17th, I managed 3 workouts and my highest mileage (110 mile) of 2013. The workouts were 5 x 2 minute hill repeats at Mount Sanitas on one day and 2 x 4 mile tempo on the roads a few days later. The week came to a close with a blizzard, which sent me to the dreaded treadmill. The final workout of that week was a shorter tempo of 5 miles. It closed out a weekend with 34 miles over two days on the treadmill. Needless to say, my hips weren't terribly pleased. C'mon SPRING, get it together! The following week, I decided to take it easy as I was feeling a bit tired. I've always liked the quote, "It's better to be 10 miles undertrained, than 1 mile overtrained". So with that in mind, I just logged easy aerobic miles all last week. I also spent much of that week at Rally Sport, my local gym. There I swam between 1 and 2 miles per visit on top of my typical core/weight routine. I always enjoy heading to Rally. Their staff is very knowledgable and my fellow gym-goers are inspiring, from world class triathletes, runners and cyclist, to a new mom who's looking to get back in shape. So now that we're up to date, what's up next, you ask? I'll be racing back to back weekends. First up is XTERRA Cheyenne Mountain in nearby Colorado Springs, where I'll compete over 12 Kilometers. I'm looking forward to it, but also anticipating a very challenging course. It'll serve as a shock to the system and a reintroduction to racing. Workouts are great, but racing is an art in it of itself that can't be duplicated in training. The following week, I'll make the trek to Las Vegas for the XTERRA West Championships, where I'll compete over 21 Kilometers. I'm still quite a novice on the trail (RACING) scene. In anticipation, I asked a mate of mine: Joseph Gray, an XTERRA World Champion as well as a 4-time NACAC Mt. Running winner for some advice. 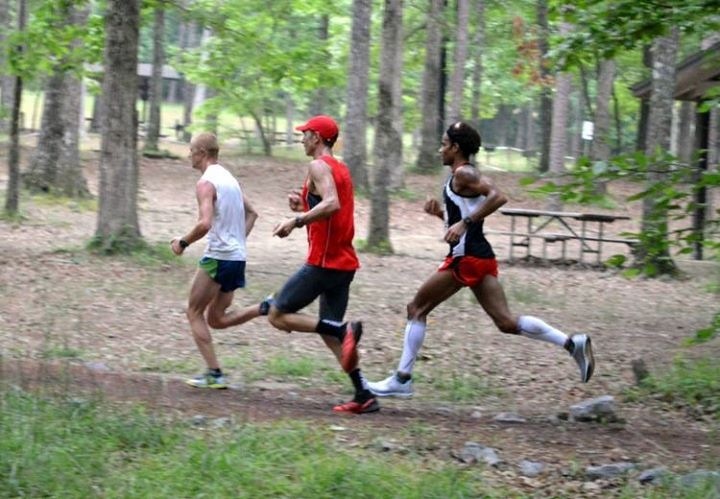 On racing trails, this is what he had to say, "Depends on your strengths. If uphill running is your strength then plowing downhill will thwart your potential to use your strong climbing. Your legs get beat up from the impact and that will slow your climbing if you aren't used to it. It's a gamble, you have to decide whether to run mediocre on the ups and downs or run extremely well on one and not so great on the other. A lot of it depends on who you are racing as well..."
This week has been purposely top heavy. The goal of Monday-Wednesday being to exhaust and overload my legs both on the hilly trails and in the weight room. Monday morning I ran a hilly trail 10K. In the afternoon I incorporated the usual 10 x 10 second hills into my 2nd run. Tuesday I ran a 2 x 4 mile tempo on the roads again. That evening I went to Rally where I purposely added an extra set to each weighted rep I did. This left my already tired legs, comically exhausted (picture the Tin Man doing a "Harlem Shake"). Yesterday I duplicated Monday's training and added a 2 kilomete swim in the afternoon at Rally. So this brings us to today (Thursday). I've accomplished the 1st part of my mission this week. I've exhausted my legs over roads, trails & the gym. I'll now take Thursday & Friday really easy and allow the body to recover some. I'm purposely heading into this weekend a bit over worked and tired. I hope to get a great blow out and some much needed trail running experience before next weekend's Championship race. Only time will tell if my plan over the past 2 weeks will pay off. Needless to say, I'm enjoying the journey and newfound challenges. Lastly, a big thanks to my nutritional sponsor, PowerBar, for keeping me upright. Don't know where I'd be without their Cookies n Cream Caramel Crisp Recovery Bar. I literally have a "Recovery" drawer filled with their stuff! Can't get enough of it!